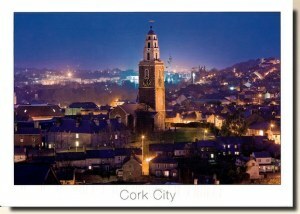 Cork (Irish: Corcaigh) is the second largest city in the Republic of Ireland and the island of Ireland's third most populous city. It is the principal city and administrative centre of County Cork and the largest city in the province of Munster. County Cork has earned the nickname of "the Rebel County", while Corkonians often refer to the city as the "real capital of Ireland", and themselves as the "Rebels"